The University of Chicago has always been a pioneer among America's so-called "elite" universities. Long before the Ivy League admitted women (only after the "Women's Movement" grained ground in the 1960s and 1970s), the University of Chicago was graduating hundreds.Some of the biggest news to hit the Education in the USA in June 2018 is that the University of Chicago is eliminating the requirement that students applying for admission to the College of the University (one of the smallest undergraduate programs among the nation's elite universities) no longer have to provide their ACT and/or SAT scores. Disclosure, this reporter was admitted to the University of Chicago during the summer of 1966 as a transfer scholarship student and graduated from the College in 1969. At the time and since he has noted the importance of the essay for undergraduate admissions and still believes that an Admissions Department at a major university should devote time and resources to actually reading (and viewing where necessary) an applicant's complete application -- and not just making "two piles" based on flawed test scores stuff. 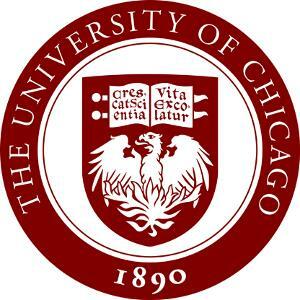 Today's announcement by the University of Chicago that the school will no longer require ACT or SAT test scores from applicants is a major milestone for the test-optional admissions movement. According to the National Center for Fair & Open Testing (FairTest), which maintains the master database, more than 1,000 accredited, four-year colleges and universities now will make decisions about all or many applicants without regard to ACT or SAT test scores. FairTest Public Education Director Bob Schaeffer assessed the implications. "The University of Chicago's test-optional announcement should be a huge 'ice-breaker' for ultra-selective institutions. Other schools in this category are re-examining their admissions exam requirements but have hesitated to go first. Because Chicago has long been recognized as an admissions reform leader, it is now much more likely that peer national universities will follow suit." Schaeffer continued, "Chicago's decision expands test-optional momentum from top-tier liberal arts colleges, where more than half no longer require ACT/SAT scores, to a broader range of nationally known schools. An accelerated trickle-down effect is likely -- FairTest's internal 'watch list' includes about three dozen schools that we know are considering dropping ACT/SAT scores. In the past five years alone, more than 110 colleges and universities reduced standardized exam requirements." All told, U.S. News ranks more than 300 test-optional and test-flexible schools in the first tiers of their respective categories. Among leading national universities, the University of Chicago joins American, Brandeis, George Washington, Wake Forest and Worcester Polytechnic as ACT/SAT-optional. Top-rated test-optional colleges include Bates, Bowdoin, Furman, Holy Cross, Pitzer, Sewanee, Smith, Wesleyan and Whitman. There are many reasons for the test-optional surge, according to FairTest. Schaeffer explained, "By going test-optional, colleges and universities increase diversity of all types without any loss in academic quality. Multiple studies show that an applicant's high school record predicts undergraduate success better than any standardized exam." "Eliminating testing requirements is a 'win-win' for both students and schools," he concluded. Talk to any high school counselor advising students applying to a top college these days, and they will probably tell you the same thing: It’s like playing the lottery. In the admissions cycle that ended last month, a record number of applications and historically low acceptance rates at many selective schools have shifted the conversation about what it takes to secure a spot on the nation’s most elite campuses. That confusion among applicants is likely to grow with the announcement Thursday by the University of Chicago that it will no longer require SAT or ACT scores to admit American students. By doing so, Chicago became the most selective institution so far to go test-optional. It’s likely selective campuses that compete with Chicago for applicants will follow in its footsteps so that they’re not at a disadvantage in recruiting prospective students. In the past few weeks, I’ve talked to several admissions deans at elite colleges. Some, hearing rumblings that one of their counterparts was considering going test-optional, were weighing what they would do in response. A few still like the option of SAT and ACT scores as a check against inflated high-school grades; others say test scores already play a diminished role in their admissions processes. As a result, like other top universities, Georgia Tech is increasingly considering other factors in making admissions decisions. Rather than just looking at high school grades, Clark said, “we’re now looking at actual course selection” to see how an applicants’ classes line up with their intended majors. “For us, in the last five years, we’re looking for that forward-looking student who is not just smart,” Clark said. Clark acknowledges it is more difficult to tell students and parents what it takes to get into Georgia Tech these days — a dilemma likely only to worsen for admissions deans as more schools join the test-optional movement. The test-optional debate is fierce, and each side produces its own studies that usually arrive at opposite conclusions. Take, for example, a report released in April that was generally sympathetic to test-optional policies at the 28 institutions studied. It found that the schools increased their numbers of applications and their enrollment of minority students without any corresponding “signs of academic slide,” such as graduation rates. That study followed a book released last year, “Measuring Success: Testing, Grades and the Future of College Admissions,” which was edited by three people with ties to the College Board and largely challenged test-optional policies. “There is so much deep distrust on every side of this debate,” said on of the editors, Jack Buckley, a former College Board official who helped redesign the SAT. In Buckley’s opinion, the weight given to grades and test scores is unique to every institution and serves one important function in admissions: Will the applicant be able to do the level of work expected at the college? How much those two factors are considered as opposed to others, such as essays or interviews, sends an important signal to applicants, he said. Often, students change their behavior in response to what schools want, he added, making it difficult to adequately define merit across the board because each side of the admissions equation is tweaking its behavior every year. Like others I interviewed, Buckley reminded me that the vast majority of colleges accept most applicants, so defining merit is less of a problem. Indeed, 80 percent of colleges accept more than half of their applicants, according to the National Association for College Admission Counseling. But counselors said no matter how many times they tell parents that, the conversation quickly returns to what it takes to get into an elite college, especially if parents went to one themselves. What’s often difficult for those same parents to understand is just how much the admissions system has changed in a few decades. When they applied to college, the prospect of getting in — even to a selective college — was so much easier than it is for their children. In 1988, for instance, Johns Hopkins University accepted more than half of its applicants. This year, it accepted fewer than 10 percent. Some students test well but are not driven to get good grades while others have test anxiety but produce good grades.